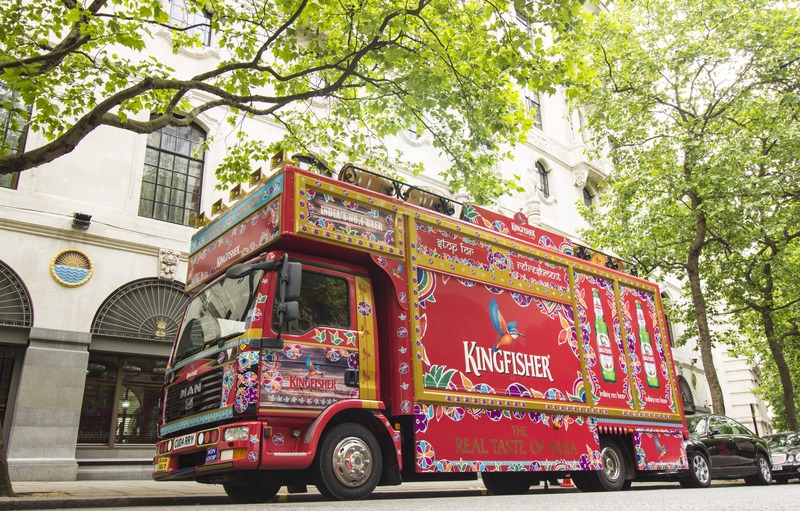 The cracking Kingfisher Beer Truck is a seriously eye-catching Indian-inspired converted lorry that can serve both draught and packaged Kingfisher Beer at all kinds of events. 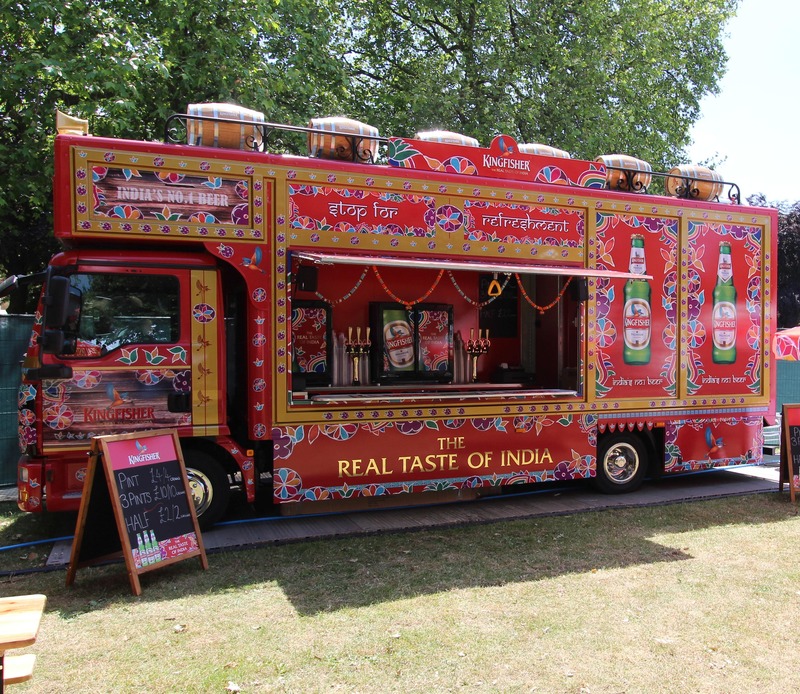 The truck is totally unique and would be an amazing addition to any event - it will definitely steal the show! Whether it’s a wedding, birthday, corporate event or anything else, these guys can definitely help. The serving hatch opens from one side and has an integrated bar set up in the back including a cellar room, chillers and line set up. 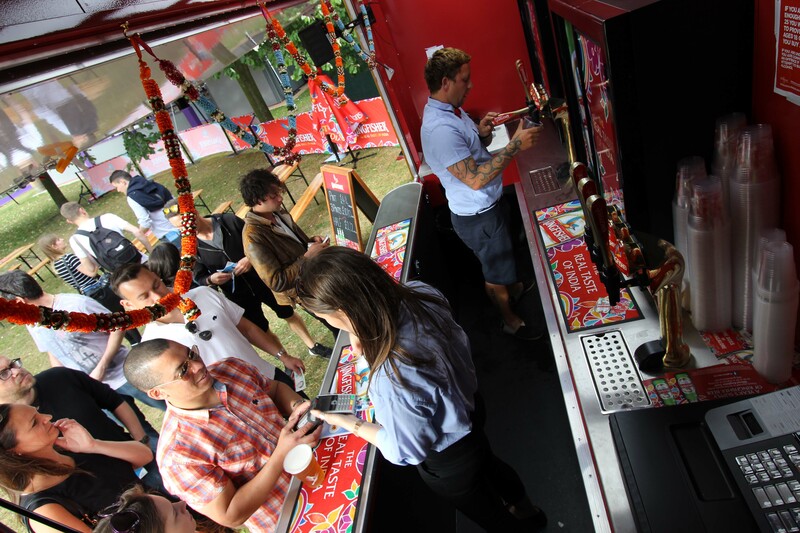 If you think that having the epic Kingfisher Beer Truck at your next event sounds as amazing as we think it does, see if they are available and request to book them here on Feast It! © 2019 Karamu Ltd trading as Feast It. All rights reserved.